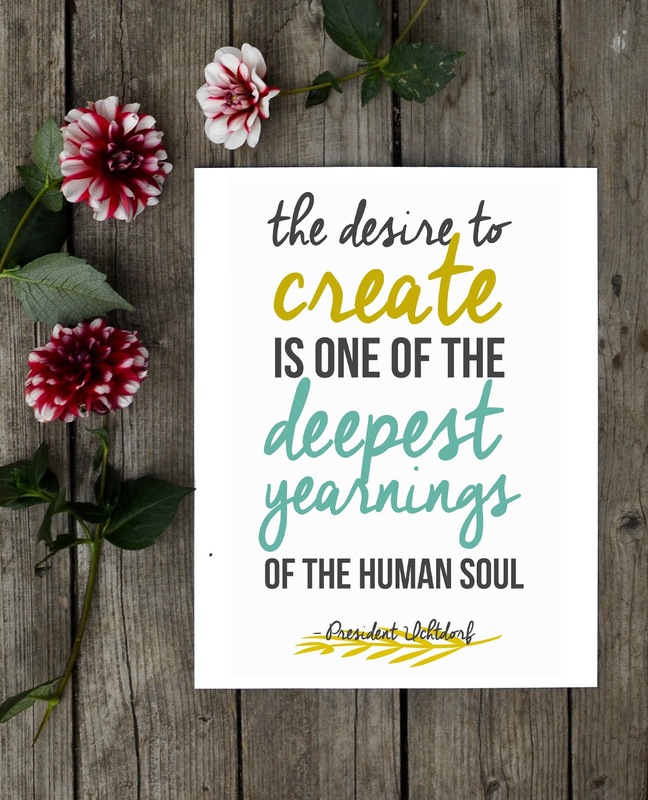 ' Sunshine Sunday: Why I Blog and Why I Create- Free Printable - Sisters, What! 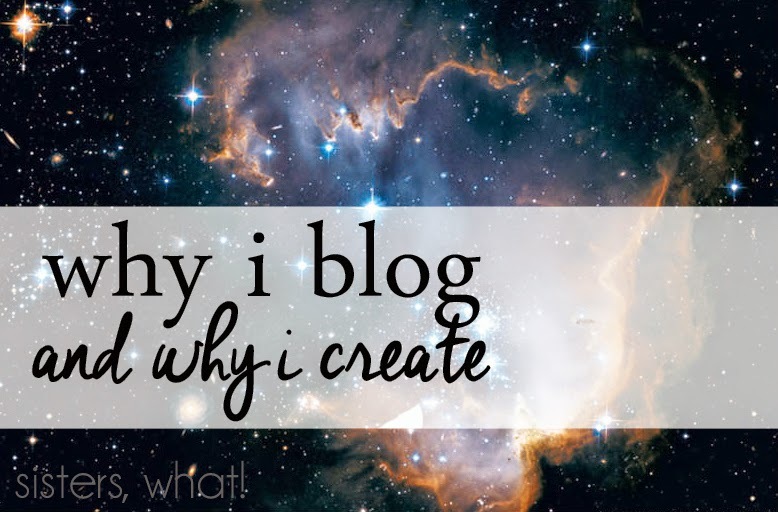 "why do I blog? what keeps drawing me back?" I know that not many people read what I write about, and those of you that do I'm always so touched to read your comments. Yet, this is a small blog and I still wonder sometimes what keeps me coming back with the knowledge that few read it. As I think about it (probably too much), I always come back to the same conclusion, I do it because I love it (not for others), but more importantly because it helps me focus on me and how I can always improve myself. For me it is my outlet from everyday stuff. Sounds selfish right? I'm a mom, and to me that is the best thing in the world to be; I just really love being a mom. But it's so easy to forget about myself and to focus all my attention on my sweet little boys. And along with being a mom, it's so easy to get caught up on all the things that I'm doing wrong and comparing myself to others. Let me quote from one of my favorite talks by President Uchtdorf - Happiness Your Heritage, October 2008. "To me it appears that our splendid sisters [women] sometimes undervalue their abilities--they focus on what is lacking or imperfect rather than what had been accomplished and who they really are." I feel that blogging is that outlet where I can record some of the things that I am accomplishing. Life can be so discouraging and full of challenges. How can we stay above water during the hard times and stay happy? How do we find the greatest kind of happiness? The greatest happiness is God's happiness, so how do we emulate that happiness? Again, President Uchtdorfs talks about this such happiness. "Creating and being compassionate are two objectives that contribute to our Heavenly Father's perfect happiness. Creating and being compassionate are two activities that we as His spirit children can and should emulate." emphasis on the "Creating and being compassionate are two activities that we...should emulate". It doesn't have to be sewing, crafting, or cooking. It can be anything that is creating. Creating is part of our genetic code. "to make or produce (something) : to cause (something new) to exist"
"Creation means bringing into existence something that did not exist before-colorful gardens, harmonious homes, family memories, flowing laughter." 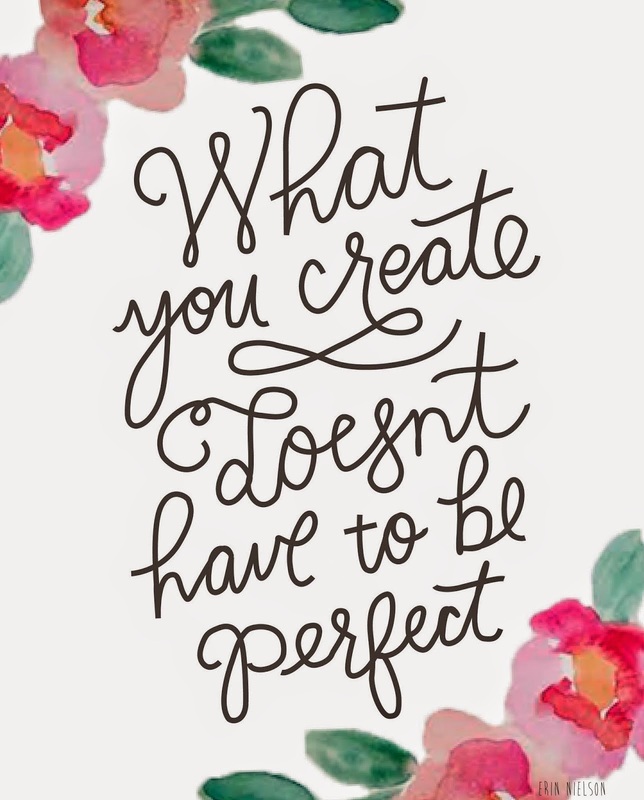 Anyone can create! I think it's easy to stereotype and when it comes to the word 'create' we quickly apply it to arts and crafts. Yet is is more than that; It is writing, journaling, making music, cooking, teaching, gardening, making someone happy, keeping a clean house, making family memories, etc. Whatever we do, it is part of who we are and it brings us great satisfaction. "Don't let fear of failure discourage you. Don't let the voice of critics paralyze you--whether that voice comes from the outside or the inside." But sometimes we just have to keep at it and never give up. Whatever our outlet of creativity is, we need it to help us through the rough days. Whether it is blogging, crafting, playing the piano, or making some silly art project with Captain Awesome, creating it is what I need. This is why I blog. I do it for me. It is me cheering for when things workout instead of failing. I highly encourage you to read the rest of the talk by President Uchtdorf Happiness Your Heritage. 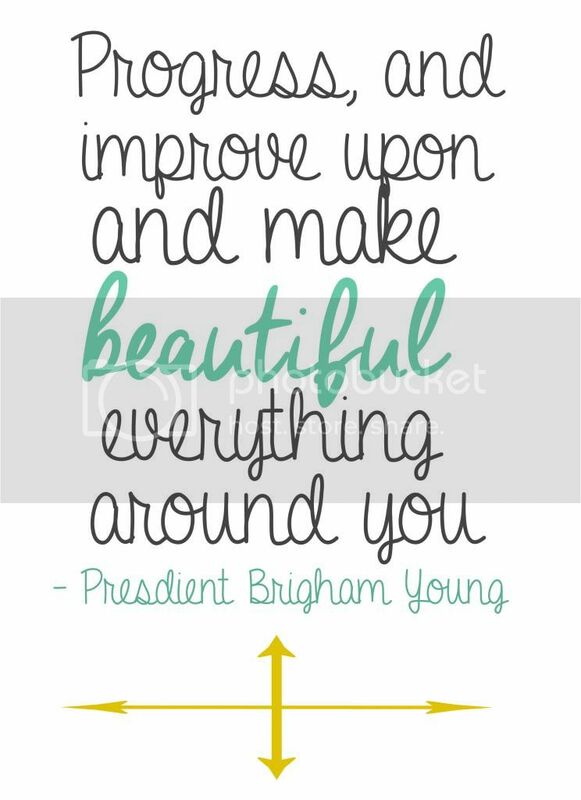 We all deserve to be happy and there are so many wonderful things that President Uchtdorf talks about that can help all of us be the happiest we can be. Good on ya, Huz. Keep creating. Love these quotes, sometimes I find myself having to explain why being creative is so important to me. In the creative blog community I find people who understand sometimes it is "just because!" . I found this lovely quote which seems especially apt for me which you might like too, "Why did she make things? Well because she enjoyed it of course, but it also somehow helped her remember who she was and where she came from"